“COMBINING GRACE”A Tribute to Gilda RadnerGroup Exhibition Curated by Jennifer Contini Enderby Tchera Niyego and Natalie MeekGallery at Station DigitalTriBeCa73 Franklin St. (between B’way and Church)New York, NYThe opening reception on Thursday June 10th, 7-9pm, is free and open to the public with a suggested donation of $40 at the door. 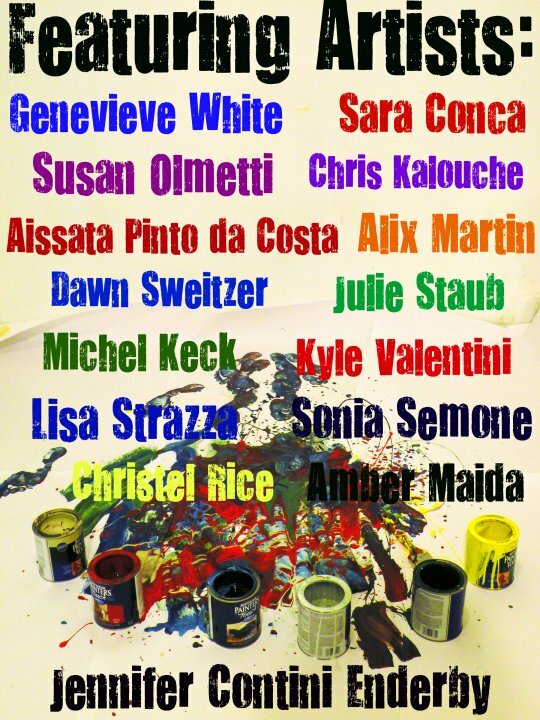 40% of artwork proceeds and 100% monetary donations will benefit GCNYC. This collection of diverse artists demonstrates the balance between creativity, grace, and femininity. Their works inspire the viewer to feel empowered through mixed media, abstract paintings, photography, live performance art and music! This event is graciously sponsored by Station Digital, who will be providing wine. I understand that not all of you LIVE in NYC and will be able to make it to this event, but if you are interested in donating towards the cause, please email me! or contact Eileen JacksonEvents ManagerGilda’s Club New York City195 W. Houston StreetNew York NY 10014Ph. – 212-647-9700 x254FAX – 212-647-1154 ejackson@gildasclubnyc.org ANY donation of any amount would make a difference!